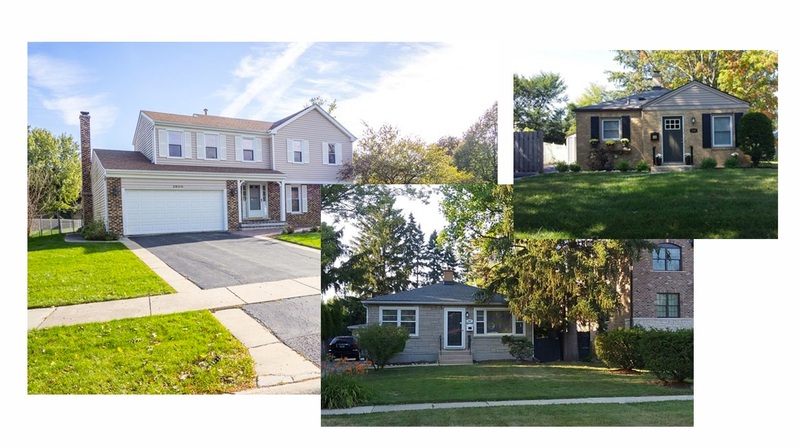 There will be 3 Open houses this weekend! Charming all brick Cottage ranch w/2 bedrooms, 1 bath & 1 1/2 oversized car garage & great backyard. Freshly painted home features gorgeous wood floors, Granite counters, & new windows. 2018 upgrades were: new garage roof, rebuilt chimney, cap, downspouts, shutters, 6 " sewer cleanout, dishwasher, microwave, & disposal. Hot water tank replaced in 2017 & has a humidifier & great Home Warranty. 2014 home was rehabbed including: new windows, new electrical branch wiring & devices, copper water lines, PVC drain piping, concrete crawlspace w/drain tile, sump pump & wall insulation. Kitchen was remodeled w/granite countertops & porcelain tile. Remodeled bath w/porcelain tile. New interior & exterior doors & hardware. New baseboards & casings. New garage door, opener & large shed. Roof replaced in 2010. Home is within walking distance to downtown and Metra train and highly rated schools of Pleasant Hill, Plum Grove & Fremd. Move in and enjoy! Really, really just move into this 3 bed (one in lower level) 2 bath Cottage style south facing ranch home. Over 1600 sq.ft. of finished living space. Totally updated, even the smaller things. New roof 2017, windows in great condition, house freshly painted 2018, new water heater, light fixtures,resurfaced tub & more in 2018,. Hardwood floors refinished. Detached two & a half car garage. Semi-private fenced back yard w/basketball backboard, horseshoes, fire pit and very nice mature trees. 1 to 5 minutes to all schools (top rated, Pleasant Hill, Plum Grove and Fremd), Metra and downtown. Birchwood Park just down the street w/playground, pool, tennis, and basketball courts. Great restaurants, entertainment & easy access to expressways. Fantastic investment property w/over $20,000 in rental income. Currently, rented at $1,675 per month and could obtain $1,875. Tenant MAY leave earlier than lease termination, but NOT required. Home warranty included. No homeowner exemption.